Heraklion is the capital city of the Greek island Crete. Crete is one of the most picturesque places around Greece and it is known all around Europe about the beautiful locations and the great hospitality of the local people. The gastronomy is the characteristic Mediterranean diet. It is certain that you are going to enjoy the food and you are going to love the local drink Raki. 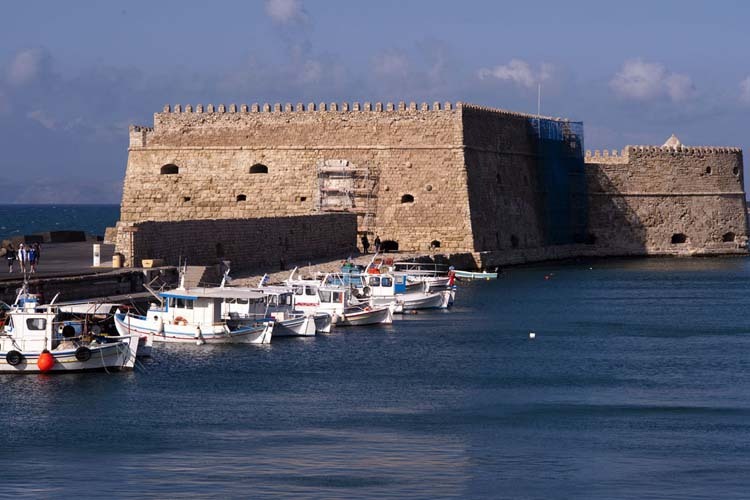 Heraklion is one of the top Greek destinations from tourists all over the world. For that reason there are a lot of hotels and accommodation selections for you and your friends, the only thing you have to do is to book the proper Heraklion hotel for you the sooner possible. Modern and dynamic people prefer to use the internet in order to manage the different parts of their daily life. The online tourist agency e-global is one of the most useful internet pages for those who love to organize their vacations from the safety of their homes and enjoy their trips with their personal different ways. The advanced online booking service that you are going to find on our online platform is the perfect tool for you. How to travel to Heraklion? There are several ways to reach the seaside town of Heraklion as the city possess both an airport and a port. You can use the online booking service in order to book the airtickets or the ferry from the port of Piraeus. Our online service offers you also the opportunity to book the activities that you would like to join in during your vacation.